Randomized clinical trials are the gold standard of cancer research and can shed light on whether innovative, new therapies with great potential actually have clear benefits over usual care for patients. However, the seven randomized trials funded by the National Cancer Institute (NCI) and the Patient Centered Outcomes Research Institute (PCORI) to test proton therapy are enrolling more slowly than expected. Commercial insurance medical policies that do not cover treatment with proton therapy can make it difficult for patients to participate in randomized clinical trials funded by the NCI, part of the National Institutes of Health, that are evaluating the therapy. That's the message from an expert at the Perelman School of Medicine at the University of Pennsylvania and colleagues at the NCI who are calling attention to what the authors say is a major barrier these trials face. The authors publish their commentary, and proposed solutions, this week in the Journal of Clinical Oncology. "Most commercial insurers and state Medicaid plans do not cover proton therapy for the cancers under study," said lead author Justin E. Bekelman, MD, an associate professor of Radiation Oncology and Medical Ethics and Health Policy and senior fellow in the Leonard Davis Institute for Health Economics at the University of Pennsylvania's Perelman School of Medicine. Bekelman is also the principal investigator of one of these trials, the RadComp trial for breast cancer, which is funded by PCORI and the NCI. "While coverage denial is used to reduce inappropriate use of medical technologies, a downside when applied to proton therapy is that patients cannot participate in randomized clinical trials designed to answer crucial questions about its benefits and harms." Co-authors include Andrea Denicoff, MS, RN, head of Clinical Trials Operations for the NCI's National Clinical Trials Network, and senior author Jeffrey Buchsbaum, MD, Ph.D., AM, medical officer and program director in the Radiation Research Branch at the NCI. "Some research has shown the benefits of proton therapy, but other studies have demonstrated expected and sometimes unexpected toxicities in certain cancers," said Buchsbaum. "That's why these randomized trials are so important. We need the evidence from these trials to determine whether proton therapy is better than usual care at reducing side effects or extending survival." "NCI's randomized trial program for proton and photon therapy is designed to provide evidence comparing these two therapeutic options," said Denicoff. "Future patients will benefit directly from the knowledge gained. If we can complete the trials in a timely fashion, the results will enable patients to make more informed treatment decisions." All stakeholders are aware of the dilemma and are attempting to find solutions. 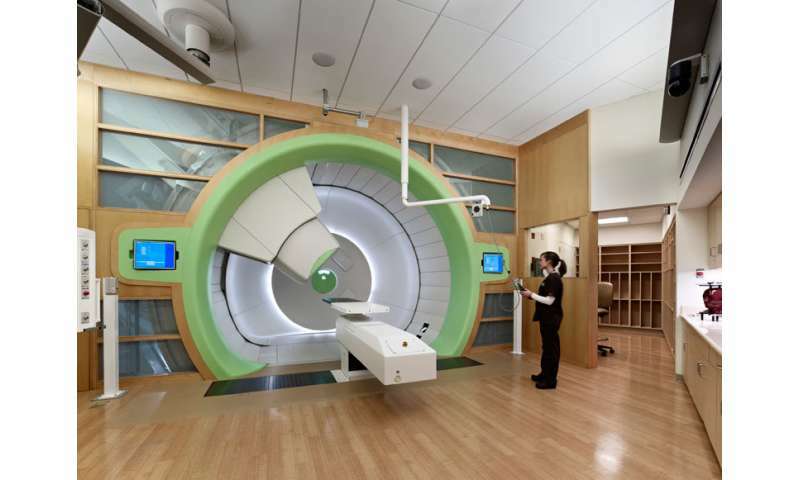 Some commercial insurers and some proton centers have made arrangements to cover proton therapy for selected cancers under study. For example, some insurers cover proton therapy for selected cancers under study or have established coverage with study participation policies. The researchers are proposing an approach that leverages lessons learned from these successful experiences—bringing together public and private insurers, proton therapy centers, hospitals, radiation therapy equipment vendors and patient advocates to establish a program of coverage that includes trial participation in one of the seven trials. The NCI is hosting a meeting with insurers later this month to consider opportunities and challenges to establish such a program. Other barriers will be addressed, including physician and patient engagement in the clinical trials. "The seven trials that are currently enrolling patients will definitively compare cancer control and side effects between proton and photon therapy across prevalent cancers," Bekelman said. "To complete these trials, we need a coalition of patients, clinicians, payers, vendors, hospitals, and funders. If we are successful, our efforts could serve as a model to evaluate new advanced technologies in the future."